Massive Asteroid to whizz past Earth. It's going to be a close one! Asteroid 2000 EM26, estimated to be about the size of three football fields, will closely approach the Earth on Monday evening. Viewers watching Monday's live webcast on Slooh.com can ask questions of Slooh host and astronomer Bob Berman on social media by using the hashtag #asteroid, the statement said. The webcast will use images of Asteroid 2000 EM26 captured from Slooh's ground-based telescopes. Its flagship observatory is located on Mount Teide in the Canary Islands, in partnership with the Institute of Astrophysics of the Canary Islands, the statement said. 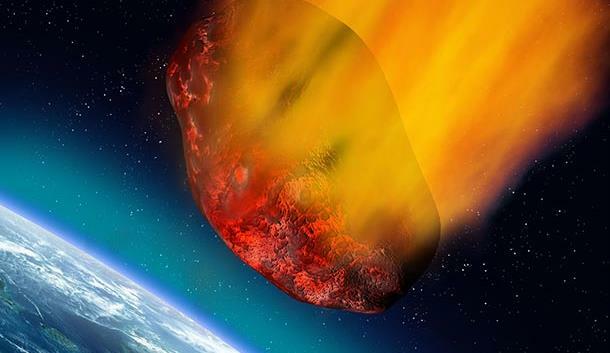 "We continue to discover these potentially hazardous asteroids — sometimes only days before they make their close approaches to Earth," Paul Coz, Slooh's technical and research director, said in the statement. "We need to find them before they find us!" Coz said in the statement.